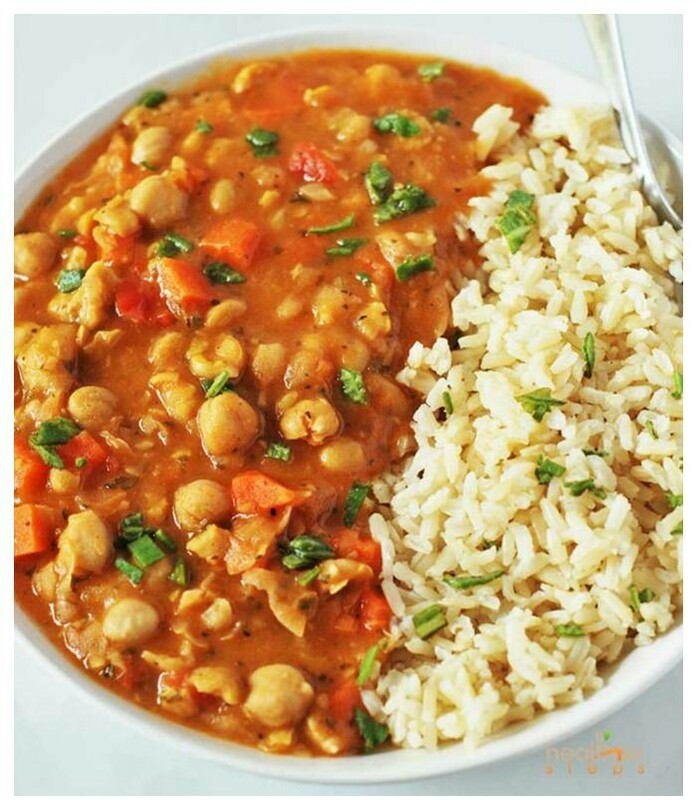 Here is the best comforting and hearty Chickpea Stew (Vegan, Gluten-free) ever! Made with simple ingredients from basic ingredients with an amazingly delicious taste that will keep you coming back for more! If you are using dried chickpeas, sort, wash and soak them overnight. The next day drain and rinse chickpeas. Cover with water about 2 inches above chickpeas and bring to boil on medium heat. Lower heat to simmer and cook until tender, about 1 hour. Drain chickpeas and reserve 2 cups of liquid, set aside. Visit healthiersteps.com for full directions.